Finding the best car insurance in Alberta isn’t the easiest task, but it is far from daunting. Half the battle is understanding your needs from an insurance policy; the best car insurance for one person may not suit another. Ideally, you want to secure a policy that not only provides you with the extent of coverage you require, but also is reasonably within your budget. Below are five tips that can help you find the absolute best car insurance policy for your particular needs. Not all insurance policies are equal. There are a number of different coverage options. Third-party liability, otherwise known as PLPD insurance (personal liability and property damage insurance), is legally mandatory and covers damages or injury to another person or their property, while comprehensive insurance is optional but offers protection from other factors like fire, theft and environmental damage. Research different coverage options and determine which suits you best. Many people aren’t aware that they may be eligible for a range of discounts on their car insurance. Common discount types include bundling or multiple vehicle discounts, reduced rates as a result of club or organizational membership, and even discounts based on the educational institution you went to. Many providers also offer a Home and Auto combined discount, which allows you to receive significant savings by bundling your auto and home insurance together under the same insurance company. Look into what discounts you can get in order to track down the best car insurance policy for you. CLICK HERE to start a free, no-obligation online auto insurance quote. 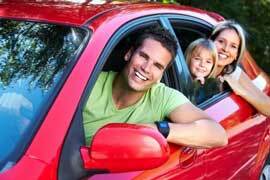 When shopping for a car insurance policy, it is prudent to get a quote comparison. Some people choose to do this work manually, though there are easier ways. Use a quote comparison service online,or contact a trusted insurance broker who can help secure you the best car insurance policy at affordable rates. If you want to know what kind of experience you can expect with a particular insurance provider, go online and read about the experiences of others. Reviews are a good indication of how an insurance company performs in a variety of areas, from customer service to trustworthiness and beyond. A number of positive reviews and recommendations from other customers is likely a sign that the company is a good option. A deductible is the amount you pay before your insurance policy covers a claim. If you opt for a higher deductible in your policy, your premiums could be lower. For example, if a common deductible is $500 dollars, consider upping it to $1000. The savings you gain may surprise you. Are you ready to find the best car insurance policy in Alberta that covers all of your needs? Contact ARC Insurance today to get started! Let our brokers find the perfect insurance policy for you!